Cloudy with a few showers. Low 42F. Winds light and variable. Chance of rain 30%..
Cloudy with a few showers. Low 42F. Winds light and variable. Chance of rain 30%. 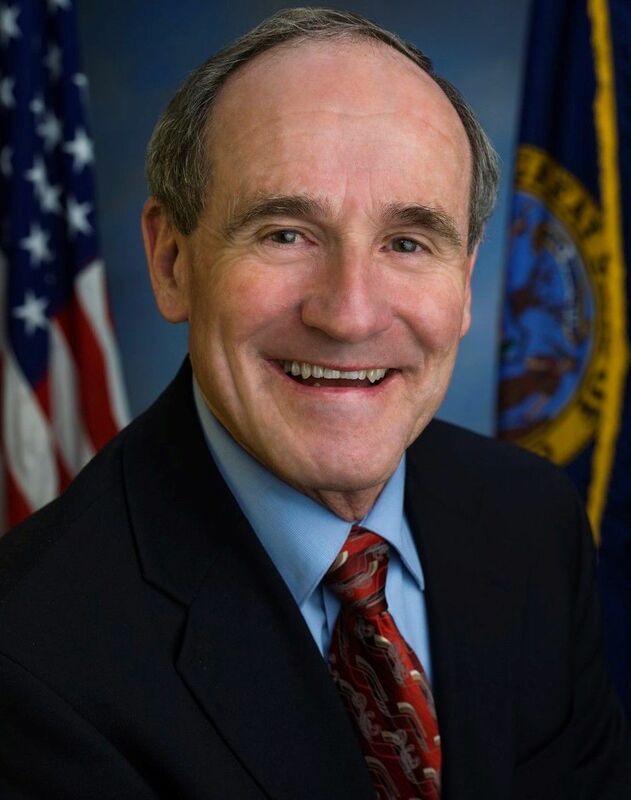 “Farmers and ranchers in Idaho need predictability and assurance that their needs will be met while they do their important work," said Senator Risch. "This bill meets that goal." The final Farm Bill includes provisions of significance to Idaho. The first is the Timber Innovation Act. The measure, initially introduced as a stand-alone bill with by Senators Crapo and Risch, along with Senator Debbie Stabenow (D-Michigan), will help accelerate research and development—and ultimately construction—of wood buildings in the United States. Specifically, this legislation focuses on finding innovative ways to use wood in the construction of buildings above 85 feet in height, or roughly, seven or more stories. While timber products have been an integral part of construction for centuries, most wood buildings do not exceed three to four stories in height. However, with recent developments in mass timber engineering alongside other new technologies, it is now possible to expand the use of wood into larger construction projects in a safe, innovative, effective and environmentally sound way. The second provision benefiting Idaho includes a 10-year reauthorization of the Collaborative Forest Landscape Restoration Program (CFLRP). Led by Crapo, with support from Risch, The CFLRP has enabled the expansion of active collaborative land-use groups in Idaho, and accounts for more than 5,400 jobs across 14 states. The CLFRP will move more of the decision-making on the use of our public lands back to states and local collaborative groups, where our neighbors can lead the planning process for Idaho’s forests. The CFLRP encourages large-scale (50,000+ acres) collaborative, science-based forest restoration in a way that encourages environmental and economic sustainability. Since its enactment in 2009, CFLRP has a proven track record of success in managing forests to increase forest health, mitigate wildfires, and support local economies and local voices. The CFLRP has spawned a number of active collaborative land-use groups in Idaho, and accounts for more than 5,400 jobs across 14 states. The CLFRP will move more of the decision-making on the use of our public lands back to states and local collaborative groups, where our neighbors can lead the planning process for Idaho’s forests. For Idaho’s agriculture community, the measure bolsters the Foreign Market Development Program (FMDP). Thanks to the FMDP, thousands of small and medium-sized family farms, including many in Idaho, have been able to reach more foreign markets, opening up new opportunities and adding billions of dollars to our nation’s agricultural industry. With an ever increasing global economy, FMDP is an important program that enables farmers across Idaho and the nation to remain competitive. Finally, the bill also expands the Good Neighbor Authority, or GNA, which has long been championed by both Crapo and Risch and has been successful in increasing the pace and scale of forest restoration across Idaho since it was enacted in the 2014 Farm Bill. GNA will permit Idaho’s counties and Native tribes to enter into contracts for the purpose of managing and completing needed maintenance in national forests. The Farm Bill now goes to the House of Representatives for consideration, where it expected to pass.